These colorful metal flower stakes will brighten up your garden year-round. Our selection includes bird feeder flower stakes and garden torches. Beauty and functionality in one! Our Solar Flower Stake has a secret solar panel that's completely concealed in the middle of the flower. Lights shine from the center, reflecting onto the brightly painted flower petals. 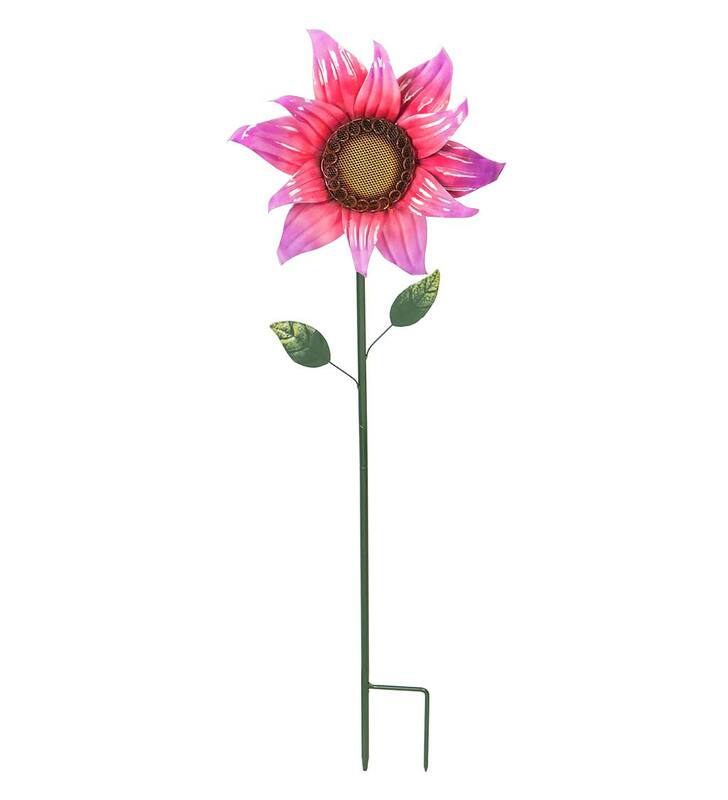 Standing nearly 3 feet tall, this Secret Solar Flower Metal Garden Stake adds a bright touch to your garden day and night. Metal stake and flower; metal leaves adorn the stem. Just stake it in the ground for an easy landscape accent you're sure to enjoy.